A New Kind of Monkey!! 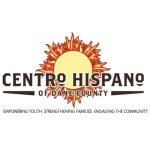 Karen Menendez Coller, Executive Director of Centro Hispano talks about local efforts to find a temporary home for Central American refugee children. Young Syrians try to escape their war-torn homeland for a better life. Alice Su tells their story as they arrive across the border in Amman, Jordan. Want to Host a Talk Show?